Introduction: After surgical revascularization of the lower limb, antiplatelet agents are usually prescribed and anticoagulation is considered in cases of high risk of thrombosis. We conducted a systematic literature review of the existing evidence on long term prescription of anticoagulants in the postoperative. Material and methods: Systematic review of the literature available in the Pubmed database. Results: The studies selected for the final review consisted of: 6 randomized controlled trials (and 4 post-hoc analyzes), 1 prospective study with historical controls and 3 retrospective studies. Conclusion: The efficacy of hypocoagulation depends on the conduit used and its intrinsic factors. There is benefit of hypocoagulation in the autologous venous lower limb bypasses, but the INR range and risk factors for thrombosis may influence the results. In the non-venous grafts there may be benefit in those with reduced caliber and low average flow. The incidence of major bleeding is significant, and a careful evaluation of the risk-benefit ratio in the prescription of chronic hypocoagulation is essential. 4. Jivegård L, Drott C, Gelin J, Groth O, Hensäter M, Jensen N, Johansson G. Effects of three months of low molecular weight heparin (dalteparin) treatment after bypass surgery for lower limb ischemia--a randomised placebo-controlled double blind multicentre trial. Eur J Vasc Endovasc Surg. 2005 Feb;29(2):190-8. 6. Ariesen MJ, Tangelder MJ, Lawson JA, Eikelboom BC, Grobbee DE, Algra A; Dutch Bypass Oral Anticoagulants or Aspirin Study Group. Risk of major haemorrhage in patients after infrainguinal venous bypass surgery: therapeutic consequences? The Dutch BOA (Bypass Oral Anticoagulants or Aspirin) Study. Eur J Vasc Endovasc Surg. 2005 Aug;30(2):154-9. Epub 2005 Apr 25. 7. Oostenbrink JB, Tangelder MJ, Busschbach JJ, van Hout BA, Buskens E, Algra A, Lawson JA, Eikelboom BC; Dutch Bypass Oral anticoagulants or Aspirin (BOA) Study Group. Cost-effectiveness of oral anticoagulants versus aspirin in patients after infrainguinal bypass grafting surgery. J Vasc Surg. 2001 Aug;34(2):254-62. 8. Tangelder MJ, Algra A, Lawson JA, Hennekes S, Eikelboom BC. Optimal oral anticoagulant intensity to prevent secondary ischemic and hemorrhagic events in patients after infrainguinal bypass graft surgery. Dutch BOA Study Group. J Vasc Surg. 2001 Mar;33(3):522-7. 9. Johnson WC, Williford WO; Department of Veterans Affairs Cooperative Study. Benefits, morbidity, and mortality associated with long-term administration of oral anticoagulant therapy to patients with peripheral arterial bypass procedures: a prospective randomized study. J Vasc Surg. 2002 Mar;35(3):413-21. 10. Johnson WC, Williford WO, Corson JD, Padberg Hemorrhagic complications during long-term postoperative warfarin administration in patients undergoing lower extremity arterial bypass surgery. Vascular. 2004 Nov-Dec;12(6):362-8. 11. Kretschmer G, Hölzenbein TJ. Oral anticoagulation in peripheral vascular surgery: how intense, for how long, or at all? J Intern Med. 1999 Apr;245(4):389-97. 12. Kretschmer G, Wenzl E, Schemper M, Polterauer P, Ehringer H, Marçosi L, Minar. 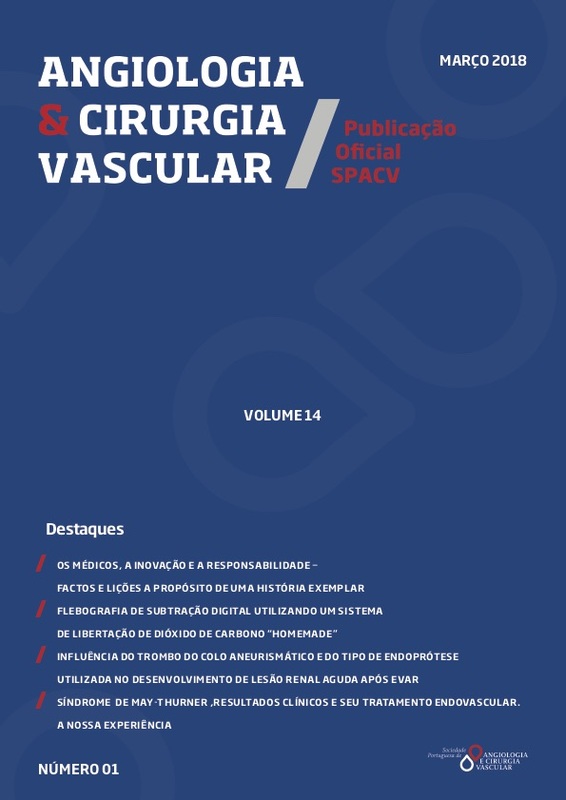 Influence of postoperative anticoagulant treatment on patient survival after femoropopliteal vein bypass surgery. Lancet. 1988 Apr 9;1(8589):797-9. 13. Sarac TP(1), Huber TS, Back MR, Ozaki CK, Carlton LM, Flynn TC, Seeger JM. Warfarin improves the outcome of infrainguinal vein bypass grafting at high risk for failure. J Vasc Surg. 1998 Sep;28(3):446-57. 14. Pappas PJ, Hobson RW 2nd, Meyers MG, Jamil Z, Lee BC, Silva MB Jr, Goldberg MC, Padberg FT. Patency of infrainguinal polytetrafluoroethylene bypass grafts with distal interposition vein cuffs. Cardiovasc Surg. 1998 Feb;6(1):19-26. 15. Suckow BD, Kraiss LW, Stone DH, Schanzer A, Bertges DJ, Baril DT, Cronenwett JL, Goodney PP; Vascular Study Group of New England. Comparison of graft patency, limb salvage, and antithrombotic therapy between prosthetic and autogenous below-knee bypass for critical limb ischemia. Ann Vasc Surg. 2013 Nov;27(8):1134-45. 16. Brumberg RS(1), Back MR, Armstrong PA, Cuthbertson D, Shames ML, Johnson BL, Bandyk DF. The relative importance of graft surveillance and warfarin therapy in infrainguinal prosthetic bypass failure. J Vasc Surg. 2007 Dec;46(6):1160-6. 18. Pisters R, Lane DA, Nieuwlaat R, et al. A novel user-friendly score (HAS-BLED) to assess 1-year risk of major bleeding in patients with atrial fibrillation: the Euro Heart Survey. Chest 2010;138:1093–1100.